BufferedOutputStream(OutputStream out) - Creates a new buffered output stream to write data to the specified underlying output stream. 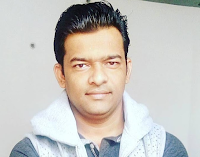 BufferedOutputStream(OutputStream out, int size) - Creates a new buffered output stream to write data to the specified underlying output stream with the specified buffer size. void flush() - Flushes this buffered output stream. void write(byte b, int off, int len) - Writes len bytes from the specified byte array starting at offset off to this buffered output stream. void write(int b) - Writes the specified byte to this buffered output stream. This program uses text content as input and writes to file named "sample.txt". 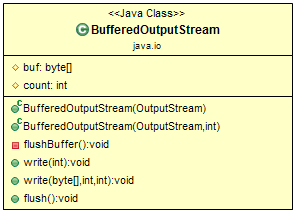 * The class demonstrate the usage of BufferedOutputStream class methods.